If you have a shady garden with lots of clivias that flowered well in spring, and you left their seeds on, sow them! You can never have too many of these beautiful indigenous plants. For successful germination you have to sow the seed when it is still fresh. Pick the berries when they have turned red and remove the pulp and membranes covering the large seeds, which will have a pearly sheen. 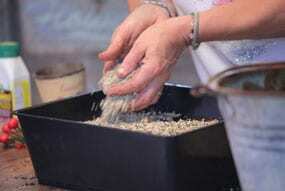 Wash the seeds with a soluble fungicide or a weak solution of dishwasher liquid and water. 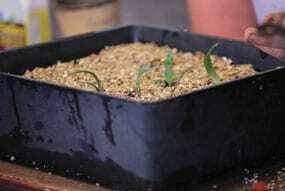 Fill a deep seedling tray with washed, coarse river sand that is still moist, but not sopping wet. Press the seeds into the river sand, ensuring that 50% of the surface of the seed is below the sand and the rest sticking out above. If you notice a dark spot on the seeds, plant them with this spot facing upwards. Give it just a light sprinkling of water to settle. Cover the seed tray with an old pane of glass, or place it in a blown-up plastic bag tied with a rubber band. Keep the tray in a warm place out of direct sunlight. 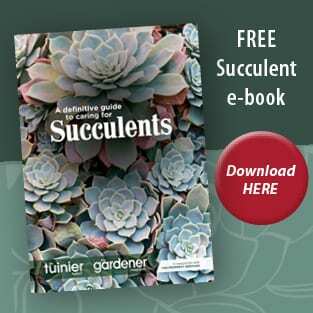 After about 4 – 6 weeks the seed should start sprouting and you will see small roots emerging. 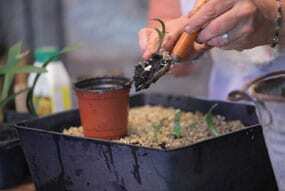 Fill up small pots or a large, deep tray with commercial seedling mix or fine bark. Water it well and allow it to drain. Make small holes about 2cm deep in the growth medium using a dibber or stick. 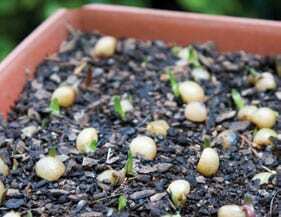 Plant the sprouted seeds gently into the holes without damaging the roots. The seed part should be halfway into the soil. As the small plants grow, feed them regularly with a seaweed-based growth stimulator like Kelpak. Applying a water-soluble fungicide now and again can also be of benefit, preventing root rot. 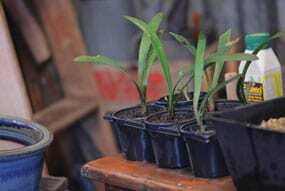 The seedlings are slow growing and should remain in the little pots or tray for about two years to become strong before being transplanted. 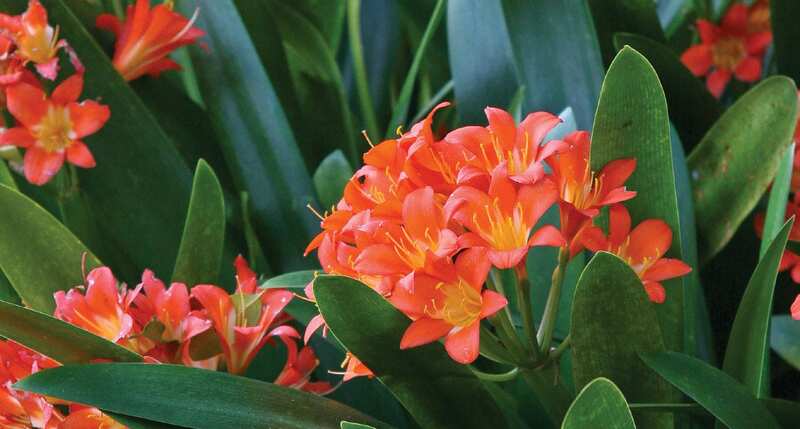 Clivias grown from seed can take three or, more likely, five years before flowering, but they are worth the wait!